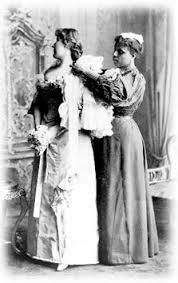 In the Victorian age, the senior most female member of the staff appointed for domestic help was the housekeeper. 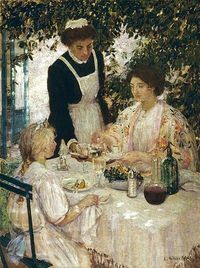 She was directly under the mistress, the head of the house and was in charge of all the female servants excluding the lady’s maid and head nurse, who were directly under the mistress. 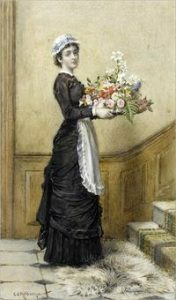 The housekeeper looked after everything that happened during the daily running of the household. Along with this, she had to keep weekly account of the daily expenses in a ledger, paying off the bills and filing receipts. She had to be constantly on the watch and check any wrongdoing on the part of any domestic help, she had to make sure that every department is working properly, look after everything that goes on in the household and along with supervising the duties of all servants she also took care that every servant is comfortable. The character of a housekeeper involved cleanliness, order, punctuality and method. The most important one was cleanliness because no household can be managed without that. The second and equally important feature was punctuality because the staff and servants working under her would take the “cue” from her. The second and equally important feature was punctuality because the staff and servants working under her would take the “cue” from her. The order is indispensable because everything in the house should be in order and there should be an order for everything as well. The method is important because this will help get things done correctly and timely too. The main expectation from a housekeeper was that she should thoroughly understand accounts. She had to write each and every payment done for one or more purposes, current expenses of the household, bills of tradesmen and other expenses. Her accounts had to be periodically balanced and checked by the head of the house. Satisfaction of both, employer and the employee was important in this situation. Daily duties of a housekeeper were structured and organized. She had to rise early and see whether the domestics are performing their respective duties well or not. She had to check if everything was satisfactory for the breakfast for the family and household. 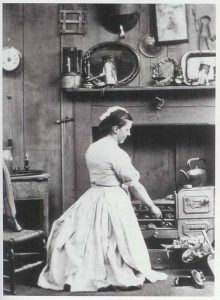 After the breakfast, the housekeeper needed to carefully examine the household linen and see the furniture of the household whether it is rubbed and polished properly or not. Meantime, she also looked after the ordering and marketing of goods from the tradesmen. In a physical point of view, a housekeeper had to be healthy and strong. She had to be particularly clean, especially her hands and had to have a nice inviting appearance. She needed to understand the basics of household management and ensure that the entire household runs smoothly as well as economically.